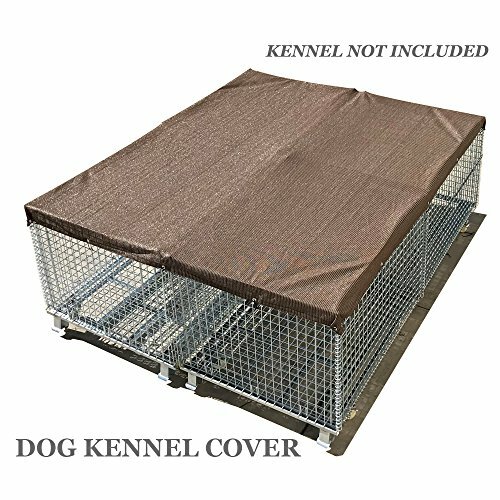 Alion Home© Pet Kennel Shade Cover are made from heavy duty 180+ GSM knitted Polyethylene fabric to significantly reduce ambient temperatures underneath. 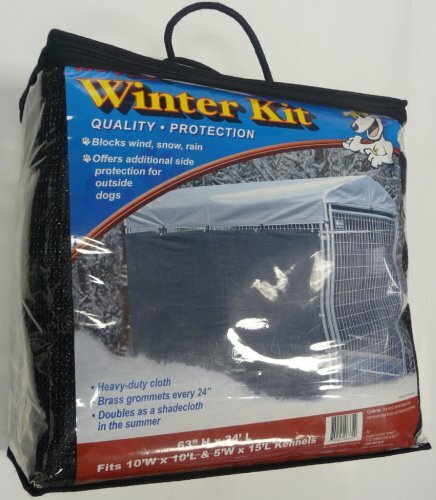 The shade cover/sun block top provides shade to help keep your pet cooler and reduces the temperature inside the dog kennel by up to 25 degrees. Perfect for protecting pets from the sun. Custom sizes are available. Please email to us. Precision Pet Courtyard Kennel: The Courtyard Kennel provides a safe and easy way of giving pets a “yard” of their own. It is the perfect kennel for pet owners looking for an outdoor dog run or an indoor exercise pen. 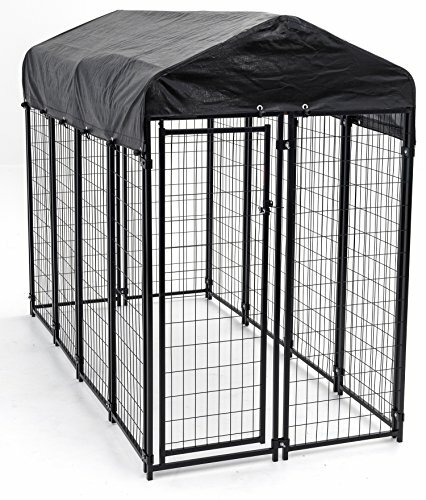 The Courtyard Kennel’s unique design allows complete versatility in configuration, use, and storage. 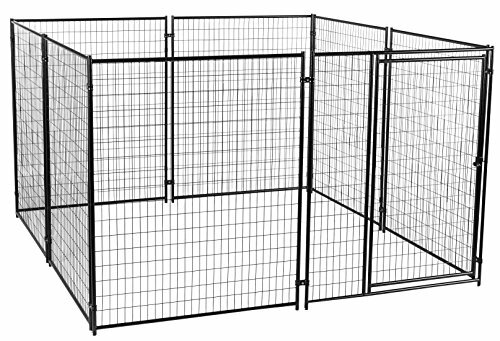 Each box contains (6) 38” high, 3 foot wide panels, one of which has a built in gate for easy access to pet. The panels are constructed of durable, rust-resistant galvanized steel with a decorative silver crack finish. 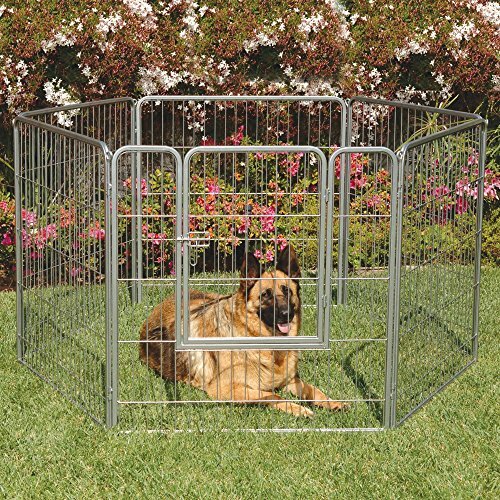 The Courtyard Kennel set includes a set of long and short removable corner pins. The long pins stake the kennel into soft ground, and the short pins can be used to assemble the kennel on hard surfaces. 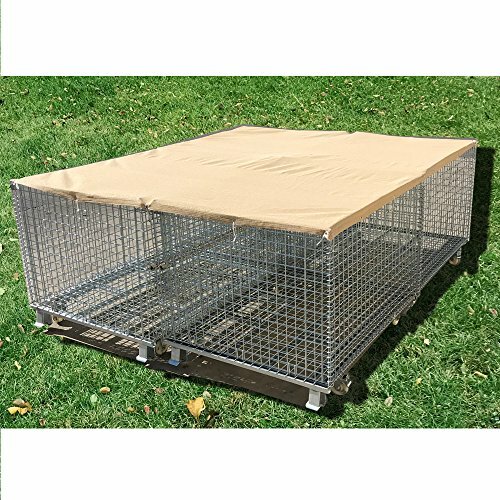 Additionally, the pins’ slide-down design allows for quick assembly with no other tools required, and they allow for panels to be easily added or removed to adjust the size and configuration of the kennel. The Courtyard Kennel also folds flat for easy storage. Includes a one year warranty against manufacturer's defects. Size: Six (6) - 36"Wx38"H panels. Color: Silver Crackle. Weatherguard Extra Large Shade Cloth with Grommets (57in. 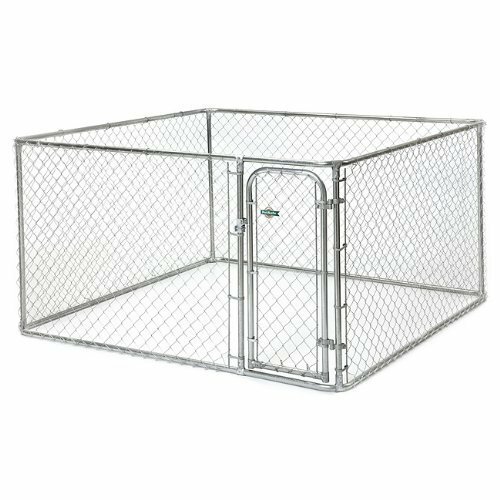 Description: The Outdoor ChainLink Kennel provides a large enclosure for your dog or puppy of any size.Kennels help aid in housebreaking, kennels help prevent mischievous anddestructive behavior and unwanted accidents as well. The quick-connect frameallows for easy assembly and it's ready to go in about an hour or so. 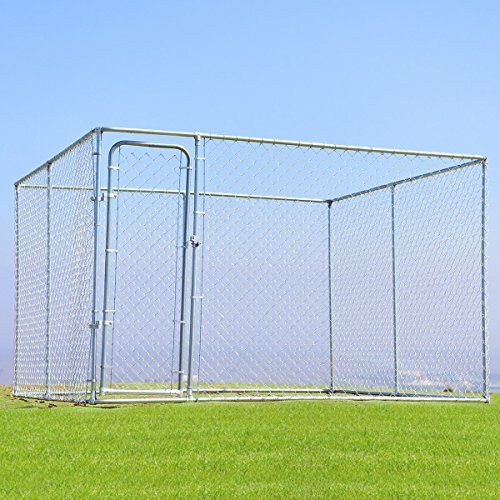 It'sperfect for your backyard giving your pet a secure outdoor space to play. Feature: Manufactured with100% Steel Frame Galvanized steel,rust resistant construction Lockable steeldoor latch and steel wire ties for extra safety Steel wire tiesincluded for increased safety and security Superior doorhinge design stays firmly in place even after years of use Specification: Dog Kennel: Material:galvanized steel Weight: 143lbs Dimensions: 10' x10' x 6'(L x W x H) Galvanized roundtube diameter: 1.5" Grid :2.5" X 2.5"
Copyright © Wholesalion.com 2019 - The Best Prices On Dog Runs Kennels Online.